Wow, where do I start?! First off, if you are a blogger, you absolutely MUST get this book! I wish I would’ve had it 3 years ago when I first started blogging! I can’t even tell you how much time I spent researching how to do things on my blog such as setting up my blog, changing the appearance of my blog, checking stats, backing up my blog and more! These topics and more are covered in this book and will save you so much time! The instructions are super easy to follow too! I also learned how to add giveaways to my blog Facebook page, set up a blogger button on my blog (for your readers to share on their blogs), set up a blog hop and more! This book gives great instructions on how to do these things while addressing the importance of them as well. If you are just setting up a blog, this book helps you choose the right name, as well as the importance of coming up with a catchy slogan for your blog to help promote it and keep it in the minds of your readers! The writers of this book also teach you how to write great content to keep your readers engaged and interested. I realized I tend to slack on the titles of some of my blog posts, so I loved that this book helped open my eyes to the importance of coming up with catchy titles to get people to click on the post and check it out! Some of the most helpful parts of this book for me were the importance social media has on your blog, and using it to help get your blog hits, readers, shares and more! The book also gives you some great sites for tracking your blog stats easily (and for free) which I absolutely loved trying out! I also found a great site through this book that will tell you exactly what your blog is worth! How cool is that?! Also, if you are like me, HTML is scary and the codes make absolutely no sense, right?! Well, this book will help you understand it and even be able to write it! Seriously! I feel after reading it, that HTML is not near as scary and I feel like I can actually understand it now! My favorite part of the book was the last chapter. The whole chapter is devoted to teaching you how to make money from your blog! It covers advertising, affiliate programs, and more. I have just recently started making a little coin for blogging so I was really interested in learning how I can make more money while staying true to my blog. I loved the advice this book gave and am starting out some of the techniques for myself! I feel no matter what your blogging level, this book will be incredibly helpful to anyone! Like I said, I wish I would’ve started blogging with this book in my hand, but even as a more seasoned blogger, I learned a whole bunch from this blog! I bookmarked lots of pages that I know I will be referring to in the future as well. 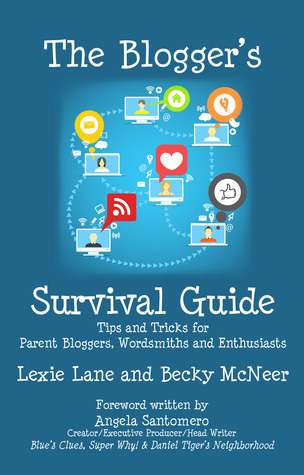 It is a great guide for any blogger and will surely help you make the most of your blog! Alexa Ranking for Bloggers- What does it all mean? Any of you other bloggers out there wondering what exactly the Alexa Ranking System is and why does it matter? I’ve only recently come across Alexa.com and the importance of having a good ranking. First of all, Alexa ranking is one the most important you can have for your blog. It will determine how you make money on your blog as well as let others know how your blog ranks up. I’ve found through reviewing products for a lot of companies, they will determine if your blog is acceptable based on your Alexa Ranking. So as you can see, its very important to have a good Alexa Ranking if you want your blog to be a success! So how exactly do we raise our ranking to an acceptable level? Here are some tips I’ve found through my research! – List your blog on sites such as google, Mantra and ,Wikipedia. -Respond to comments and messages on your blog. – Download the Alexa Toolbar and use it when accessing your blog. – Be sure to link back to your blog when commenting on other blogs. Bloggers who connect with your blog are one of the most successful ways to boost your ranking! Hope this helps my fellow bloggers! Good Luck with improving your Alexa Ranking!